Do you want to find the a pair of nice snake proof boots in 2019? Then you've come to the right place! We love the Rocky Waterproof Boots because one pair won't break the bank, but the quality doesn't suffer as the price drops, either. These durable boots will give your legs the protection they need while still being comfortable enough to move freely and hike, fish, camp, or engage in any kind of outdoor activity you like with ease. The boots are made from a combination of polyurethane and full grain leather, which is breathable for the wearer and won't become too hot in warm weather. 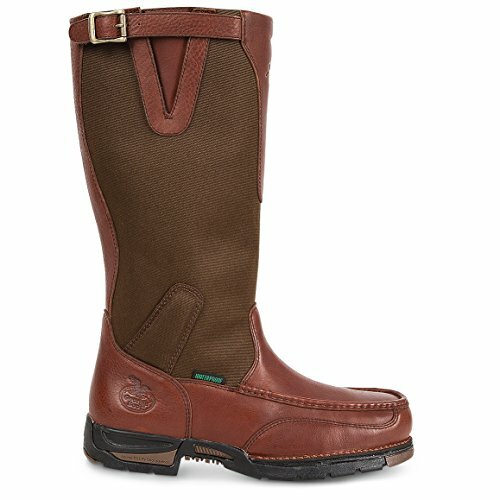 These boots are also long enough to cover the entire calf as protection from bites. Despite its leather exterior, you can submerge these boots in water without fear that the shoe itself will become damaged. In addition, the outsole of these boots can stabilize traction and improve balance, which is an added plus for hiking in rough terrains. Please remember that snake proof boots are not 100% effective, and some snakes will still be able to penetrate the materials. Either way, they are an important part of rudimentary safety when in serpent-infested areas. If you're interested in learning more about snake proof boots or want to read more about the other products we considered, see below! Want to skip all this research and just hire a decent exterminator for your snake problem? What Are Snake Proof Boots? What Makes a Snake Proof Boot Good? Do Snake Proof Boots Work? Short on time? Take a look below for the top 4 in our list. Otherwise, check out our buying guide. Snake proof boots are pretty much exactly what they sound like. These are pieces of footwear which are designed to prevent snakes from biting people who need to walk through potentially dangerous areas like marshes or long grass. More often than not, snake proof boots are made of durable, all-weather materials engineered to stop fangs from reaching skin so that venom cannot be injected. Snake proof boots are commonly worn by hunters, hikers, ranchers, and other individuals who need to enter areas where serpents live or lurk. Most boots are made from thick layers of rubber or leather. This is because these materials have been proven to stop a snake's fangs before they penetrate human skin. Most products will explain the exact materials included in the boots since they will usually utilize a strengthening combination of fabric such as rubber, leather, and some assorted synthetics like nylon. Both rubber and leather are effective materials against snakebites. Many of the differences aren't necessarily a matter of function, but just general fashion and the amount of work it takes to maintain the boots. Rubber boots are easy to keep in shape and only need to be cleaned after use. Leather requires consistent treatment, especially if the user wants them to last. However, well-maintained leather does not degrade as quickly as rubber. Leather is also considered more comfortable to wear when out hiking or hunting, but rubber has more grip on the ground. In the end, it all comes down to personal preference. Most of the snake proof boots seen in this article utilize a little of both for maximum protection and safety. Check out our buying guide below for more details. How Long Do Snake Proof Boots Last? How long the boots last will depend on two factors: how often they're worn, and how well the user takes care of them. Most snake proof boots are designed to live for several years, though they might wear out from daily use more quickly. In addition, regular treatments to the leather portions of the boots will significantly lengthen the life of your snake proof boots and impact how well they'll hold up in the long run. For a few tips on how to preserve leather for years to come, take a few moments to watch the video below. Picture your average rain boot, but tougher and more durable. Essentially, this is the point of a snake proof boot: to prevent a snake's fangs from reaching skin and potentially injecting venom into the wearer. They are best thought of as armor for hikers, ranchers, and others who need to travel in serpent-infested areas. These boots are usually dark or have a camouflage pattern in order to better blend in with the woodsy surroundings and make the wearer less of a target for snakes. Snake proof boots serve an important function in the pest control industry because they are—literally—protection for a person's calves and feet. Poor-quality boots can mean the difference between life and death for anyone bitten, since most snake venom only takes an hour or so to reach the heart. Anyone interested in snake proof boots should look at the following two factors: strength and comfort. This is the most important aspect of these boots. You want the material to be strong enough that a snake can't bite through it and potentially reach skin. Sometimes, the strength can be determined due to the thickness of the rubber or leather. In addition, some shoes are also manufactured and tested with real snakes, so that is another way to know just how tough the boots are. No one is going to wear a shoe they are uncomfortable with for very long, so it's important to find a pair of snake proof boots that fit—as explained in the video below. Sometimes a product will run too large or small, so always follow the sizing chart and be sure to break the boots in once you've purchased them. Leather, in particular, might take at least a few days to a week to really become comfortable. Here's the unavoidable truth: snake proof boots are considered a form of speciality equipment rather than everyday footwear. This means that a pair of these boots will cost more than a normal pair of shoes, so you should expect to dole out a bit in order to protect yourself from the snakes that could be slithering around your backyard. It's important to remember when pricing these boots that while the upfront costs may seem excessive, the protection this footwear offers may mean the difference between life and death. If you're trekking through areas with venomous snakes, snake proof boots are essential, and should be thought of as a wise investment rather than a frivolous expense. For exact prices, have a look at our detailed buying guide with pricing buttons below. Snake proof boots are effective in general at preventing snakebites, since the fangs and jaw strength of most species are not strong enough to penetrate the thick material. To get an idea of how strong a snake is, their bite force is higher than that of a Rottweiler but lower than a snapping turtle. While the manufacturers of the boots cannot guarantee that they'll work 100% of the time, wearing them is still an important part of elementary safety when entering areas where snakes live. In the section below, we break down each of our product recommendations in a little more detail. The Rocky Snakeproof Boot is made from tough polyurethane and is designed to be durable yet comfortable. These boots comes with a thick sole and extra grip to prevent slipping while trekking along muddy or uneven terrain. These shoes have a zipper on the side so that putting the boots on is a breeze. The material features a camouflage pattern to make it easier for hunters to blend into their surroundings in the woods. The boots weigh roughly 3 lbs. and were designed to be worn in warmer climates, so they don't retain too much heat. Each shoe has a shaft length of 16 in. We recommend the Rocky Boots to individuals who want affordable protection from snakes but would like to avoid the stiffness of most rubber boots. Georgia Athens specializes in creating long-lasting work boots and continues to do so with its snakeproof line. These shoes are made of leather, waterproofed, and come with extra padding inside to make walking more comfortable. These snake boots include a steel shank and are oil and slip-resistant with rubber soles. They are lightweight and roughly 14 in. tall from the bottom of the sole to the top of the leg protection. Unlike some other boots, Georgia Athens includes extra anchoring to ensure wearers don't struggle to gain traction. 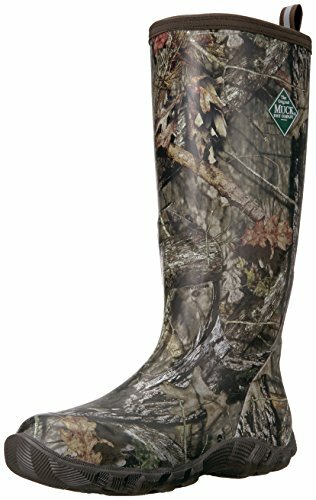 We recommend these boots to anyone who knows they will be outside a lot, whether they are working, hunting, or simply enjoy the weather. 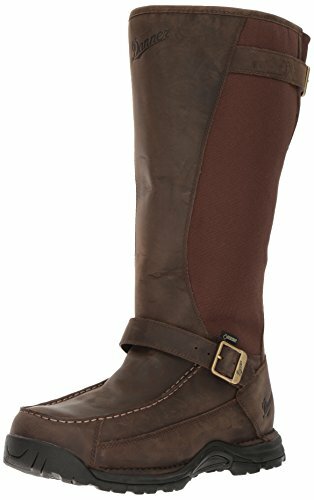 Danner Sharptail Snake Boots are a comfortable and long-lasting choice for individuals who need protective shoes that can endure a lot of wear and tear. The manufacturer's standard snake boot uses a combination of leather and other materials to improve the wearer's protection. Each pair offers lightweight breathability and waterproof protection. The boots contain extra cushioning inside to make the shoes more comfortable. Each shoe is roughly 16 in. long from the soles to the top. The fit can also be adjusted for different feet and calves. We recommend the Danner Sharptail Snake Boot to someone who needs to spend a lot of time outside, is focused on comfort, and wants a shoe that can last for years of use. The Muck Boot Snake Hunting Shoes are a combination of snake proof boots as well as ones for general mucking. Each design is balloon-tested against snakebites to ensure maximum safety. These shoes not only offer a removable insole which can be swapped out intermittently, but the soles of the shoe are made of a flexible neoprene which forms to the wearer's foot. After a few wears, the boots become customized to the arches of the owner and feel tailor-made, offering unmatched comfort. 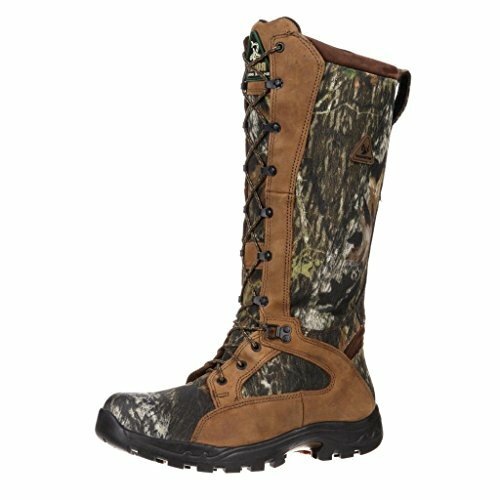 In addition to the standard camo print, these snake proof boots come in different patterns to match the environment. Unlike a lot of other boots, these Muck Boot snake hunting shoes are pretty affordable. Many customers gravitated to these shoes initially for the lower-than-average price point, but then were delighted to find a diamond in the rough of a product. We recommend these shoes to someone who doesn't want to spend a lot on specialty shoes, but would still like protection from potentially deadly snakebites. We all want protection from the potentially deadly (and always dangerous) fangs of slithering snakes. As always, they won't break the bank! Curious about other snake related products? Check out our other detailed guides to help you deal with your pest problems.